Hey everybody! Welcome to level 2! We’re going to start off this new section with perhaps the most important thing you’ll ever need to play rock guitar – the power chord. This is a moveable shape that you can play anywhere on the sixth string (for now) to create awesome rock riffs. Put a little distortion on those power chords and you’ll get a great rock sound! So many rock songs use these so it’s worth practicing! Have fun guys! 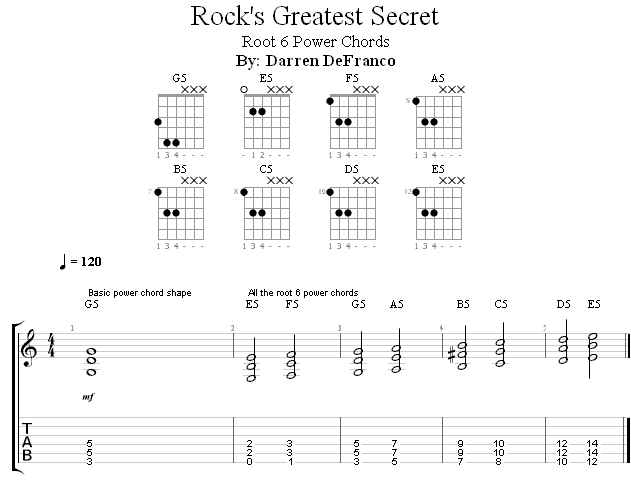 Now that you understand and can play a basic root 6 power chord shape, try to move the chord up one fret at a time until you reach the 12th fret. At that point, work your way back down. Remember to keep the shape the same and your hand steady.